This product was added to our database on Monday 26 January 2009. 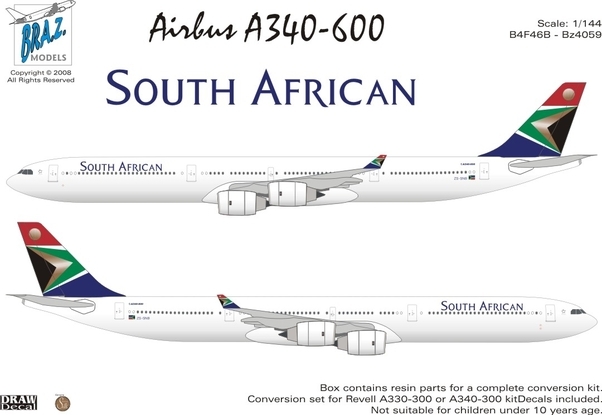 Full conversion with new fuselage, wings, engines, tail and decals for the SAA Airbus. Only the forward fuselage, part of the rear fuselage and some small parts to be used from Revell donor kit!